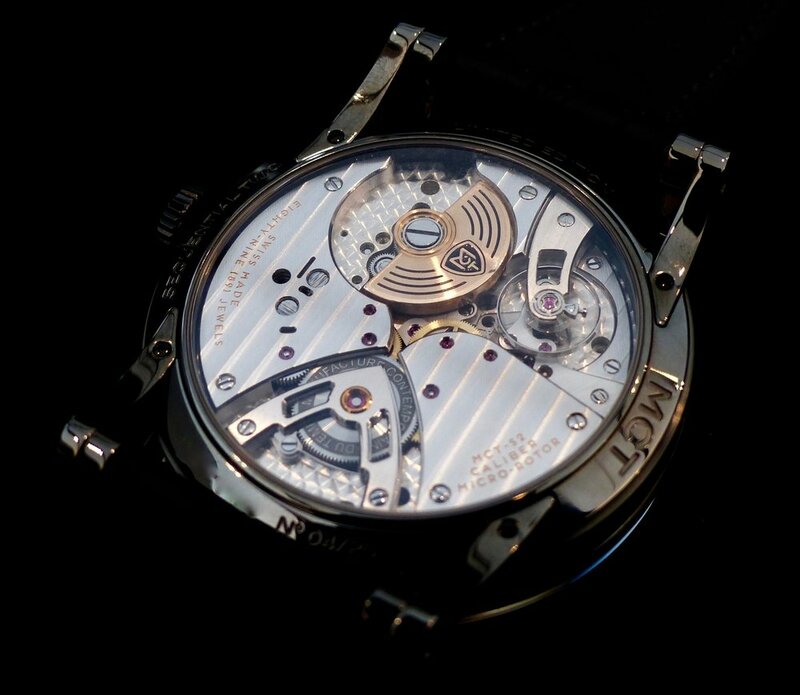 MCT PRESENTS ITS AMAZING SEQUENTIAL CREATION IN A ELEGANT & TRANSPARENT CIRCULAR CASE ! The sequential complication (and display) is a marvelous creation. Not only because the caliber MCT-S2.0 is made of 654 components but because MCT's timepiece offers a lot of motion on the dial and its new round case makes it way more elegant! We can definitely see the piece on business occasions, meeting or chic events. By that, we mean that the overall aesthetic has not anymore a "concept perception" but a true all time wearable timepiece. The hours remain on 4 surfaces composed of five prisms and a « C » shaped central disk shows the current hour. Doing a 90° turn each time an hour goes to another, this particular component adds a lot to the show! Should or could it be in sapphire transparent? Maybe, however its role is major in the entertaining moments that you're going to attend on your wrist. The minutes are on the rim of the dial and designwise, we love the choice. Fine, Discrete, Complicated, the Sequential Two S210 is an amazing mechanical timepiece!